But it has got to do with you. Input from members has been asked, and you're supplying feedback, which is what beaver wants. It's a good thing. Feedback helps make a site better. And we're the ones that have to look at it, so, "thank you" kart. seems that we have quite a few OCD'ers here and the middle is what people want so far. Hey Beaver can you send me some information on advertising here? Maybe I'm just used to the way adverts are organised on ABBQF but I do like the separate forum section on top of a discussion area rather than front page of the forum like you have done. The thing is, you need to go into a category like general or BBQ types etc to see that advert forum bar that has the adverts inside of it. There is another advert forum bar at the bottom of a forum list. Also, an OP's topic has an advert directly under his OP only and not under everyone who replies. Still gives them presence without being in your face...I believe Paul had done this pretty good. I know we have difference formats and I understand that you may not want to do the same. When I came here a few days ago, there was a massive Yoder Smokers Advert on the front page...I thought I was actually in a Yoder Forum (not that there's anything wrong with that) so yeah..It kinda smacks you right in the face. A forum of any kind for any topic is for great discussion, but you don't want to turn your forum into an add fest. 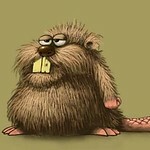 Anyway Beaver, only my opinion for what it's worth....you have a great forum here....just don't overdo it with adverts. thats great feedback dave, i did ask the community which they preferred (so that adverts like the yoder one done come up as if this was a yoder forum). i initially was swaying towards having the advert on the right hand side (off centre) which doesnt (to me) come across like that. i have the option to place the adds just under the OP's post but i have found (again personal preference) in the past this was quite annoying. in any case, it has to be a balance between non intrusive for the community but also informative so that banners with specials/events ect ect are relevant and even informative. personally, i would like to instead of just put "yoder smokers" actually have a banner showcasing a product that links to a site. these banners tend to generate more interest than just a company name. I usually don't see anything because of tapatalk, but when on the PC, I'd have to agree with Davo that when looking at the front main page, at a glance it does look like a forum for whichever ad is showing at the time. Perhaps nothing on the main front page, but on other pages you click to? If you're clicking on a link to a thread, you now know where you are and an ad there wouldn't throw new members off? Once again, just more feedback.